Imagine this scenario: you are running your restaurant during a busy shift when you run out of that evening’s special. How do you quickly notify your staff, who are out on the floor using their tablets and running their open POS sessions? 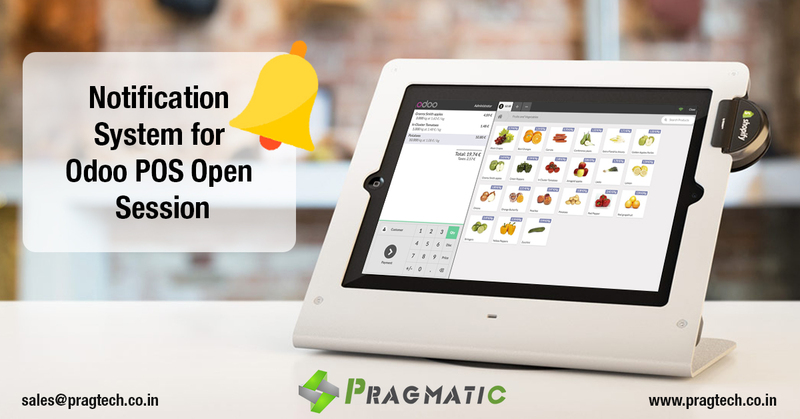 This Notification System enhancement to the Odoo POS restaurant module will trigger on different events to send a notification to all users of open POS sessions and inform them to refresh their browser. These triggers can be when the manager archives a product, or when a new product is added. Refreshing the browser will allow the open POS session to remain open, and the archived or new products are instantly available. 1. Create a new product in Odoo and make it available in Point of Sale. 3. Now archive the product in Odoo. 4. Go to the open POS session and you can see the notification for archived product.